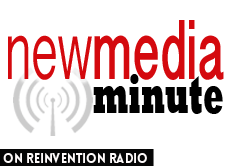 Tune in as the Reinvention Radio Crew, along with guest Dennis Langlais of the Five Minute Bark Podcast, talk about niche oriented podcasting. Richard shares his excitement over the power of audio platform, Anchor.fm, and the overnight success of prison broadcasted, Ear Hustle podcast. The crew also discusses how having the right guest on or taking advantage of one right moment can catapult a show to the top of the charts. Knowing where you're at and being on the right platform is key to niche podcasting.